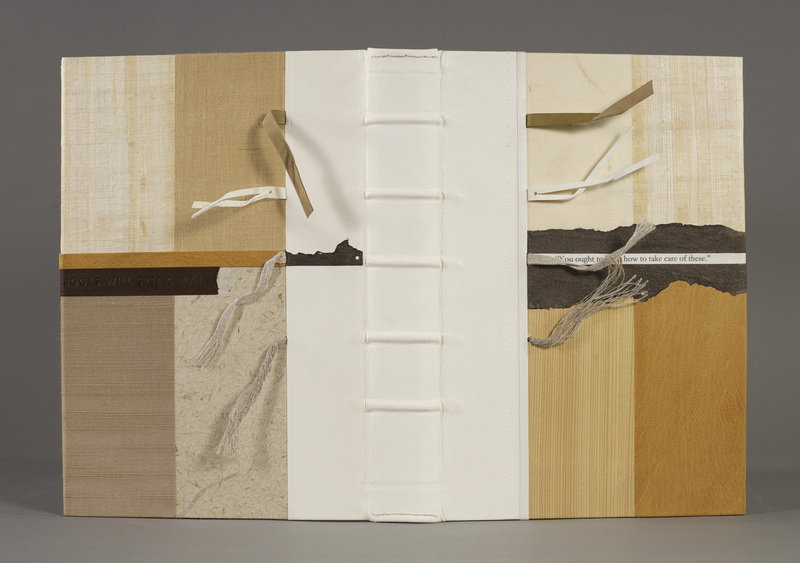 Quarter alum-tawed leather, sewn on five raised cords, sides covered in a selection of materials historically used on books: vellum, papyrus, wood, leather, linen, bookcloth, and paper, boards decorated with various sewing supports, front panel shows first lines of the text printed on paper and covered with transparent vellum, blind-stamped title. Barbara Korbel works as the Collections and Exhibitions Conservator at the Newberry in Chicago. She has been making historical models for 15 years as a way of understanding the evolution of the craft. She teaches workshops across the country.